Adam Equipment has introduced its new Cruiser bench checkweighing (CKT) scales, featuring seven built-in applications that are ideal for production, warehouse or field use in various industries. 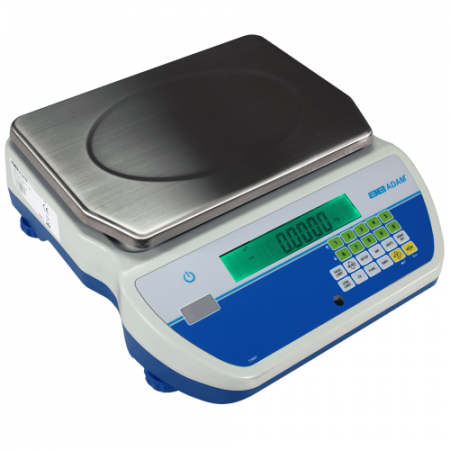 The new Cruiser checkweighing range includes models with standard, high-resolution, and ultra-high resolution readabilities from 0.0002lb/0.1g to 0.001lb/0.5g and capacities from 8lb/4kg to 100lb/48kg. With sturdy construction and heavy-duty stainless steel platforms, CKT is tough enough to withstand demanding use in factories and manufacturing facilities. A large backlit LCD is easily visible in any lighting conditions. The programmable backlight can be can be customized to be “always on,” “always off” or to light only when weighing. To facilitate the checkweighing process, the Cruiser CKT display changes colours to show if a sample is under, over, or within the preset limits. For counting, weighing, and checkweighing tasks, Cruiser checkweighing scales can expedite the job, reducing waste and overages.